The National Youth Service Action and Social Development Research Institute (NYSASDRI), Kalinga Eye Hospital’s parent institution, has many initiatives in India. Want to volunteer at a school for Maoist children or help at a shelter for unwed mothers of India? Visit www.nysasdri.org to find out how you can get involved! Extend your perspectives and open your mind to new cultures and tradition. Face new and challenging situations. Coordinate your volunteer experience with your school schedule. Gain the satisfaction and fulfillment of providing social service and help to the needy. Immerse yourself in the local population and learn from them. Put your skills and knowledge to good use. Make new friends with other volunteers and with local people. 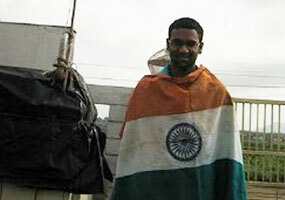 Find opportunities to see and visit India. All Volunteers over 18 years old can apply. No formal training is required. Your experience and knowledge, along with your affection and devotion to help others, are what matter most. Passport/Visa Requirements: Please contact your airline booking agent, the India Embassy, or consulate directly to determine the passport/visa requirements based on your nationality. To avoid possible travel disruptions, we suggest that you travel with a passport at all times. It is your responsibility to arrange for an EMPLOYMENT or PROJECT VISA in the name of NYSASDRI, Dhenkanal. NYSASDRI can provide a letter of support, if required, after approval of your volunteer application. Also remember that you have to register yourself at the District Foreign Registration Office, Dhenkanal within 14days of arrival in India, which will be at free of cost. Health Requirements: You are solely responsible for taking all appropriate medical precautions, being in satisfactory health and having sufficient mobility to participate in the activities you apply for. Please contact your local travel health center to find out more regarding medical issues, vaccinations and precautions. All participants must visit a travel doctor for his or her recommended immunizations at least six weeks before departure. Volunteer and educational travel around the world is often filled with unpredictable surprises such as transportation delays, local holidays, etc. Cultures vary greatly. Some things may appear shocking, and you might feel outside of your comfort zone in some situations. You might also experience disturbing poverty, or suffering in certain areas. People – including the local population and volunteers – may have vastly different religious, ideological, racial, linguistic and cultural backgrounds. There may be environmental challenges such as excessive heat, rain and insects. Be prepared for power outages and limited communication. Also, be aware that not all cultures view time in the same manner. Please be prompt and conscientious of others’ schedules; even though there may be considerable periods of down time. NYSASDRI continually strives to improve your experience. 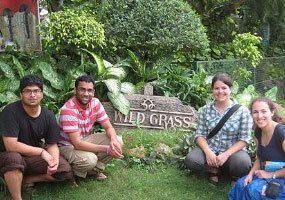 We encourage you to let your Coordinator in India know if you have any immediate concerns. Successful NYSASDRI volunteers understand and believe in our mission of helping underprivileged people. Successful volunteers are flexible and friendly, and are willing to share their skills and learn new ones. Successful volunteers also enjoy their work! As an integrated rural development organization, NYSASDRI’s ultimate priority is to relieve the suffering of impoverished and vulnerable persons and their families. NYSASDRI believes in empowering the underprivileged by increasing their participation in the development process, ensuring the proper utilization of resources within the community, raising the level of literacy and improving access to healthcare. Our goal is to facilitate the process of establishing a just society; enabling the underprivileged people to gain power and choices to lead a better and qualitative life with control and access over common resources. To achieve our goals, we need the support and compassion of people like you, with dedication and passion. We would greatly appreciate any help that you are able to give. We thank you for your interest in volunteering with NYSASDRI. Together we can change the world. Volunteers must go through a training session. Volunteers are given a list of skills that they should learn during their training. This training is given by a local doctor, and it is done either at Kalinga Eye Hospital or the NYSASDRI office. These things can be learned by the volunteers. Extending support for the community's eye care programs. Marketing & adverting Strategies for Health & educational services. Developing Awareness & educatial materials. Videography & photography of the activities. NYSASDRI currently operates a mobile medical dispensary in Sukinda block of Jajpur district. Residents of the 38 villages covered by the mobile unit face multiple health risks such as water and air pollution, and forest degradation. A medical team consisting of one doctor, one pharmacist, one driver along with one mobile van is engaged in providing health checkups and distributing free dedication to people living above the chromites mines area. 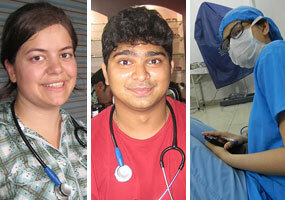 The medical team focuses on rendering preventive, curative and referral health care services throughout the year. Assisting with the outpatients department. Capacity building training and assisting health care personnel in patient’s services. Driven by a mission to contribute to the prevention and control of global blindness, the institute trains health-related and managerial personnel in the development and implementation of efficient and sustainable eye care programmes. 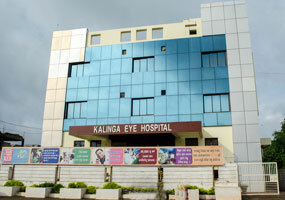 It accomplishes this objective through the broad environment of Kalinga Eye Hospital. His excellency Governor of Mizzoram, Shri M. M Lakhera has inaugurated the Center of Community Ophthalmology at Kalinga Eye Hospital on dated 11th May 2010. The programme is implementing by NYSASDRI at Minies belt and there one small office with simple accommodation and toilet facilities are available. In 1997, one of NYSASDRI’s sister organizations, Social Education Environment Development (SEED), founded a residential educational center in Malakanagiri District. The center was established to provide healthcare and educational services to young rural primitive girls (Koya) and is currently home to 140 students and they have provided food, clothes, accommodation, health check up and diverse items teaching learning materials along with monthly examination. In the leisure both the teacher and student doing Social useful productive work like planting tree, cleanness the surrounding, cultivate vegetable and flowers etc. During the girls’ stay at the center, they receive food, clothing, accommodation, health checkups as well as full access to educational facilities. Without the presence of the center, many of these young girls would be left to fend for themselves. The area is fully backward and 750 KM away from state capital. There are simple accommodation and lavatory facilities available in the campus. The campus always green and clean. Every day the tribal children enjoy with different indoor and out door game. Due to low voltage electricity we have used solar light in the campus. The residential school run by NYSASDRI since 1996-97. At that time it was small and only 50 girls children enrolled in the school. But gradually based on it quality of service and community demand more girl children are enrolled in the residential school. Now 175 tribal girls children from standard –I to Standard V are continuing education along with hostel facilities which is inadequate for them. The education complex for tribal girls runs by NYSASDRI at Hukumtola traibal village in Bisam Cuttack block of Rayagada District, Odisha.. During their stay period they have provided food, clothes, accommodation, health check up and diverse items teaching learning materials along with monthly examination. In the leisure both the teacher and student doing Social useful productive work like planting tree, cleanness the surrounding, cultivate vegetable and flowers etc. Education is the most basic requirement for the social and economical progress . The area is 450 Km away from state Capital Bhubaneswar, and there are facilities available like electricity, Television, accommodation, toilet , and fooding within the campus . the campous is full of plant and flower and every evening the students of the school arranged cultural programme. NYSASDRI is running a Short stay home to provide shelter for a shorter period (maximum 03 years) for those distressed women, who come away from their homes due to various family problems. The home provides temporary stay for 30 women and children with a package of services such as: free accommodation, medical care, Counseling, education, vocational training, recreation facilities and rehabilitation. During their stay, they are given training on various programmes such as; Embroidery work, Tailoring, Broom making, Paper cutting, Gardening etc., which helps enable women to sort-out their family disputes through strengthening their capacity to make a living by supporting their financial needs, and help them for reconciliation with their families. With the main aim to enable the disadvantaged, orphaned, displaced and abandoned children gain through this opportunity. To improve their quality of life and chances of survival, NYSASDRI provides them with the basic requirements of food, clothing, shelter, education, security and also developing their attitudes and skills, so that, they can build a better future for themselves. 14 children are residing under the programme. All the above porgamme operated by NYSASDRI from its head office where all sort of services like accommodation, fooding, recreational , vehicle, internet facilities are available. Improving rural child education through microcredit support for families living below the poverty line in Gondia Block, Dhenkanal. High levels of poverty among the population prevent residents from providing basic primary education to their children. Most of rural children with some basic education end up dropping out and do not pursue any form of higher education. Instead, in order to support the family, they stay at home to help with taking care of their siblings, and farming. Support these children by providing microcredit to their families will enable their parents improve the family’s livelihood. With better living conditions, less worry about providing for the family and proper counseling on the importance of education, parents will be more likely to send their children to school. In the state of Odisha NYSASDRI is the first organization to advocate for health sector reforms and a public private partnership (PPP) concept in primary health care. Since 2004 NYSASDRI has been managing two primary health centres that were scheduled to close in September 2009. The Odisha Multipurpose Demonstrative (ODM) Community School was established in February, 2010 . It’s objective is to enhance and enrich the quality of modern education in rural tribal areas. 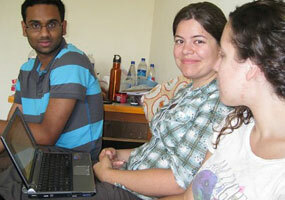 It is managed by NYSASDRI, which is state level NGO with more than two decades of experience in the field of education. The school is running with up-to-date facilities, in order to establish a strong base of successful students and also to increase awareness in the local population. This is followed by an extension of the school to students from grades I to V, in order to provide them with proper secondary education. The school’s curriculum will flow the Indian CBSE standards, while its structure will be based on the English Medium School type. All subject matters will be taught in English, and it is believed that this will greatly improve the ability of the children to follow up with higher education. Today, 73 children enrolled in the School from class Nursery to Standard I (Nursery, Lower Kinder Garden, Upper Kinder Garden and standard I) are receiving education. 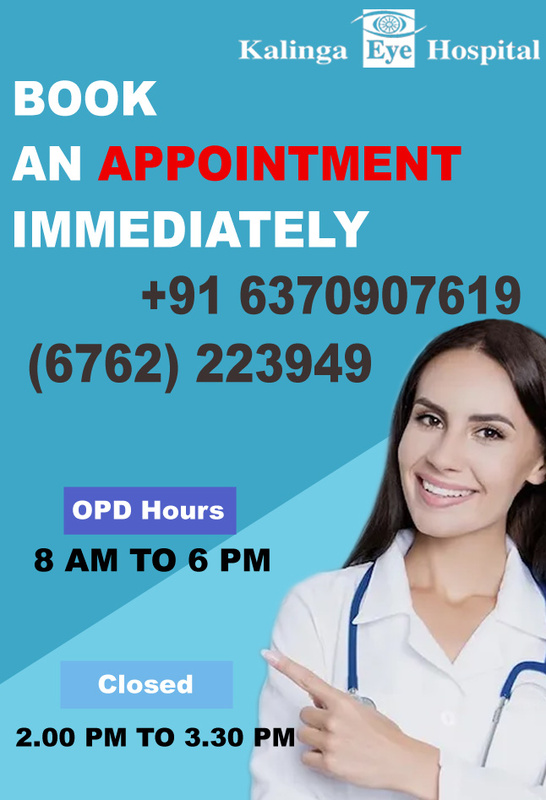 The ODMCS is located at Kokuajhara, Kashipur, Gondia Block, Dhenkanal district, Odisha PIN- 759016, Phone: 9439973460 which is 17 Km away from NYSASDRI head office. There is a beautiful campus with accommodation at top of the hill, the four corner of the campus is covered dense forest. electricity facilities available in the campus. If you are interested for work with ODM Community School then the following competency is highly essential. Please note that although volunteering is the main component of the trip, the rest of your time will be dedicated to cultural experiences including attending performances by local artists, shopping, sight seeing and stimulating your taste buds. While helping a disadvantaged community, volunteers are in a position to witness and draw their own conclusions about the inequities of global health care, education and other privileges. It broadens their view of what works, and the role they can play in ensuring a system that cares for everyone. Through spending time with these very deserving poor people, volunteers often come to better appreciate the little things in life that most of us take for granted. Most importantly, volunteering gives all of us the opportunity to open our hearts to the underprivileged, and work together to make a difference in the world. Volunteer hours may also count toward your graduation requirements. Please notify us at the start of the trip if you would like to certify your volunteer hours. If you decide to visit to India, please let us know your final schedule, and exactly how many hours per day and how many days you would like to work with NYSASDRI in Odisha, India. Also, what type of volunteer work or services would you like to provide to the poor people of Odisha, and what type of support facilities you will need in India to use your expertise. Bring your personal necessities-like clothes, medicine, toiletries. Do not over pack. Remember the more you pack the more laundry you’ll need to do. Laundry is hand washed (detergent and buckets are available locally). Do not drink tap water; always use sealed water outside of camps or filtered water provided by NYSASDRI members. Be careful about buying food from vendors or eating fresh fruits and vegetables since you don’t know how or under what conditions they were prepared or washed. There is a dress code. In Indian society, women dress conservatively. Women need to cover their body from upper arm to below the knees. Short skirts, shorts and low-necked or transparent tops are not suitable in public. It is a hot climate so light cotton clothes are recommended. The roads are often bumpy / uneven so trainers, sandals or running shoes are recommended. Also, you need to take off your shoes to enter any room so flip flops are very useful. Recommended items to take: Non-perishable snacks, micro-towel, toilet paper, mosquito net, sun block (30-40spf), Mosquito-bug repellent, baby wipes, hand sanitizer, mini first aid kit, Antibacterial ointments, medicine for fever relief and upset stomach etc., flash light, camera, adapter, books, magazines, MP3 players, laptop, card/board games etc. Make sure to wear sun glasses and lots of sun block. You’ll be arriving at Bhubaneswar airport. Make sure to confirm your arrival time and plane detail at the airport with NYSASDRI before your trip. You’ll be picked up by NYSASDRI staff after you’ve cleared customs. Some people outside the airport entrance may want to help you with baggage and finding a taxi. DO NOT accept any help, just politely decline. Our NYSASDRI staff will be waiting for you with your name on a sign. Accordingly with your program and mission, you may lodge in different places and change camp during your stay. 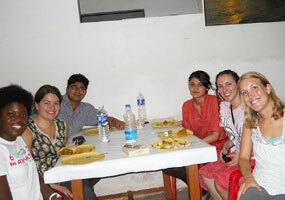 Indian food (breakfast, lunch and dinner) will be served to you with the members of NYSASDRI. The principal campuses are: Santhasara, Muniguda , Malkanagiri, Kashipur and Kalinga Eye Hospital. Rooms are available with lavatory facilities. Internet access is available only from Santhasara and Kalinga Eye Hospital. Area: 155 707 sq. kms. The safety of our volunteers is the first priority for all trips. All volunteers from abroad work closely with NYSASDRI’s very reliable on-the-ground staff and in-country partners. The assigned officer speaks English fluently and will accompany each volunteer or the group everywhere. Upon arrival, participants will be able to call or e-mail their parents and loved ones to let them know they have arrived safely. Cooked meals and purified drinking water to control exposure to unwanted viruses or bacteria. Outside food is taken at your own risk. Airfare to and from the country, travel insurance, spending money, visas, immunizations, passport/consular related arrangements & costs are your responsibility. The volunteers have to bear the cost of the pickup & drop ($100) from the Bijju Pattnaik Airport / Railway Station, Bhubaneshwar, Odisha. You will be provided Sim Card with zero balance for the duration of your stay, and you have to purchase the minutes. Through this you will not need to pay for the roaming charges and can attend / receive calls totally free. You can bring candy, toys or any other items to give away as presents for the trip only if you can provide the same thing for all underprivileged people where you are working. We try to be as equitable as we can in working with the disadvantaged communities, and strive to avoid creating any conflicts.